Want to fly? No problem. 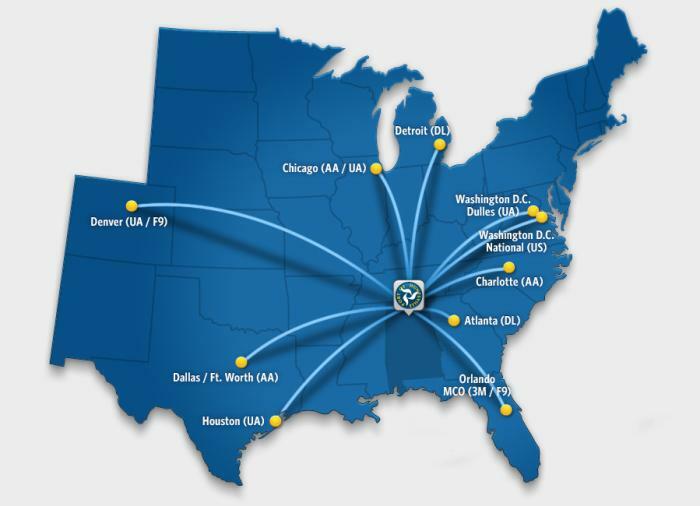 Huntsville International Airport (a mere 15 minute drive from downtown Huntsville and only a five minute drive from the Research Park District) has nonstop service to ten U.S. destinations and services nearly 1.2 million passengers annually. Huntsville International Airport even offers a free ticket agent service – Huntsville Hot Tickets – to help travelers find the lowest fares possible. Traveling by car? Huntsville is a two hour drive south of Nashville, three and a half hours from Memphis and Atlanta and an hour and a half north of Birmingham. 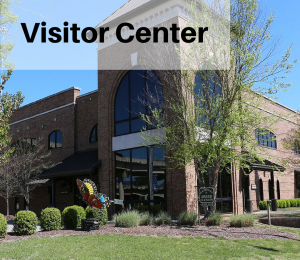 Need info on car rentals or other transportation info while you&apos;re in town? We&apos;ve got you covered. Prefer traveling by train? Huntsville’s neighbors to the south – Birmingham and Anniston – feature service via Amtrak, offering travel to 500 destinations in 46 states. Once you arrive in Birmingham or Anniston, it’s as simple as renting a car for the quick hour and half to two hour drive to Huntsville. Traveling to Huntsville is easy. Check out this blog post about all of the many, affordable ways to get to Rocket City, USA!